Skin Does Healthy Skin Around Suspicious Moles Need Removal? MONDAY, Oct. 2, 2017 (HealthDay News) — If you’re having a suspicious mole removed, the doctor should consider removing about 2 millimeters of healthy skin from around the mole. Doing so could avoid the need for a second surgery if the mole turns out to be cancerous, according to a new report. 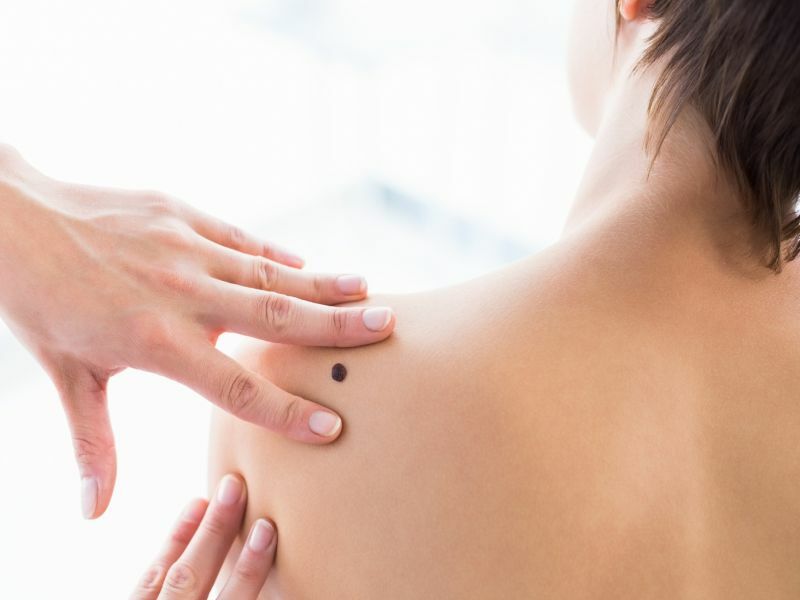 “Although the vast majority of suspicious-looking skin moles do not turn out to be cancerous melanomas, once a decision has been made to remove a mole, there should be a clearer standard margin,” said senior study investigator Dr. David Polsky. He is a dermatologist and professor of dermatologic oncology at NYU Langone Health in New York City. Polsky noted that most surgeons remove either just the darkest portion of a suspicious mole or, when removing the entire mole, cut out an imprecise 1-mm margin around the mole’s edge. “Our study shows that a ‘one and done’ approach with a clearly defined, slightly larger margin is safer and more effective in completely removing suspicious moles with a single procedure than the current non-standardized approach,” Polsky said in an NYU Langone news release. Next Article: Health Tip: Do You Have Athlete’s Foot?